That’s not meant to disparage the O-Week planning team or the many volunteers that participate in it. It’s just that a whole lot of people come to Laurier, and it’s basically impossible to design something they all enjoy. The socializing, team-building and party-like atmosphere is just not something all people can really get into. O-Week is about meeting people and socializing and being out and about, and not all people can handle that. The purpose of this article is not, however, to bash (or even really criticize) the O-Week experience — it’s to encourage those who don’t always feel it, and who might feel like the whole university experience will feel like this. I know I felt like that. I had great icebreakers and fantastic floormates to go through O-Week with, but the experience was just not my thing. I couldn’t get into cheering and competition, and going to parties was just right out of the question. I started to feel like all of school would be like that: stuff I wasn’t interested in with people I couldn’t always relate to (with the added bonus of having to do work). It wasn’t, naturally; there are always things you can find to enjoy, people you want to hang out with, and clubs and activities you may be more comfortable with. Friends at other schools told me much of the same, that they didn’t always enjoy their orientation, but as soon as they were on their own and could find what they wanted, things got better. The early frustrations are partly due to a false sell about university and college. Television universities are dominated by a certain type of friendly, extroverted person — the Animal House idea of what school is about. There’s nothing wrong with being this way or enjoying that kind of thing, but there’s a tendency in the media to make that the only kind of enjoyment school provides. That’s not true, of course, and if you start thinking it is you’re only sabotaging yourself. University offers many things for many people. I didn’t really like to party, but going to conferences and seeing speakers through clubs was brilliant. Sports aren’t my bag, but there are enough gamers (of many kinds) to get just about anything together. O-Week can’t always bring about this kind of fun, and it can be discouraging, but there’s always something to enjoy, even if it’s not showcased in your first week. thousands of strangers, and feeling generally out-of-place. It can be even harder for introverts or foreign students, or anyone else who is made, for whatever reason, more isolated. But keep going. 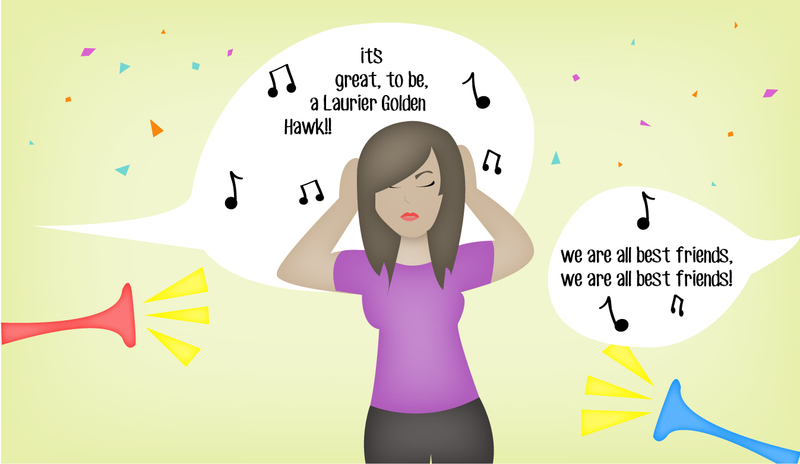 O-Week has to embrace a fairly narrow view of fun, and it can leave people who don’t enjoy it feeling like they’re doomed to the same for their whole school career. It’s not true. If you’re feeling overwhelmed and unhappy with O-Week, you can take a break. Stay in and chill out, sleep in if you need to. Go to things you really want to go to, and if you’re really not interested, people will understand. Go to the Get Involved fair, though. It’s the simplest way to find what you’ll enjoy, and there’s little to no pressure to join. Chances are, you’ll find whatever your chosen activity will be there — I certainly did. It might be Model United Nations or a sports team or a political group or gaming — the Get Involved fair is the easiest way to find what you want. University really ends up being about defining your own experience – and chances are you’ll find plenty of people who want the same as you. It’s not O-Week all the time, it’s whatever you want it to be. It can be about gaming or loving your academics or clubs or partying or being with friends or romance or whatever. Seriously, you can make your life at school into nearly anything — and remake it when you want to. So if you’re not quite into O-Week, don’t worry. The team does a great job, but ultimately it’s impossible for them to create a good time for every single new student. There’s a lot to discover at school, and that doesn’t necessarily translate into your first week here. If you’d rather just do something else, you can do that. If O-Week feels bad, it gets better and if it feels great, it also gets better. University is fun, you’ve just got to find your kind.